I am a sophomore student double majoring in history and political science. Here at Hope, I am involved with Even Year Pull, the Women's Empowerment Organization, and the Pre-Law Society. Three hours. Two teams. One rope. 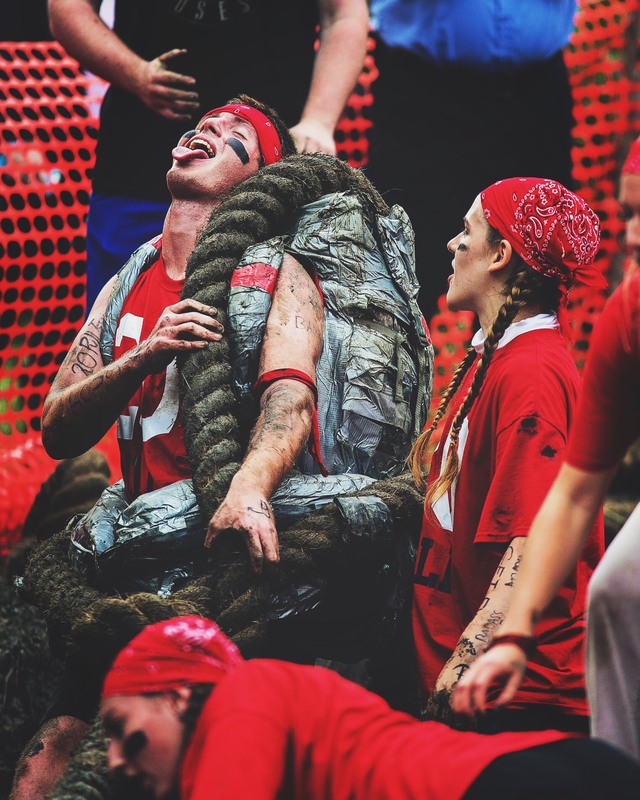 The Pull is one of the longest running collegiate traditions in America. This year, for the 120th time, Even Year and Odd Year will go head to head, trying to pull as much rope as they can across the river. In the spring semester of 2017, I researched the tradition of the Pull as part of my Hist 140 class. 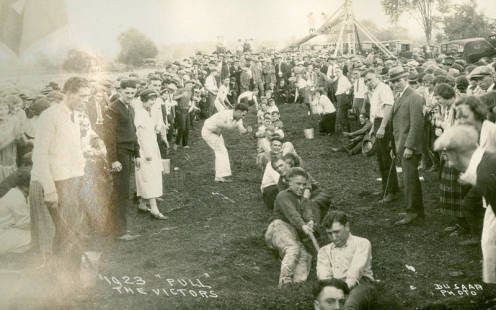 The first Pull is believed to have been held in 1898 (The Pull), and since then there have only been four known instances of the event being cancelled: 1918, 1943, 1944 (due to both World Wars) and 1957 (flu outbreak on campus). For safety reasons, the Pull can only last three hours before the judges call the results. All teams are referred to by the last two numbers of their graduating year. For example, this year will be the graduating class of 2020 versus the class of 2021, who are referred to as 2-0 (two-oh) and 2-1 (two-one), respectively. Students who graduate in an odd year are part of the “Odd Year” team, and those who graduate in an even year are considered “Even Year”. The juniors (Class of ‘19) coach the freshmen (Class of ‘21), and the seniors (Class of ‘18) coach the sophomores (Class of ‘20). Each team is made up of 40 freshmen and sophomores respectively: 20 pullers and 20 moralers. The pullers are the ones pulling the rope, and the moralers tell them what to do, give them water, and keep their spirits up throughout the long event. As a member of the 2-0 Freshman Pull Team last year, I witnessed and experienced the physical and emotional toll of this event firsthand. The Pull puts the participants’ bodies through stress like nothing else. Practices lasts for three weeks in the month of September, preparing everyone’s bodies as much as possible for Pull Day. The rope itself does damage to the pullers: It tears the skin on their hands and they need to wear handmade vests in order to keep the rope from burning their sides as they pull it. An 8-0 Puller, David J. Stevens, recounts shaking an odd-year pullers hand after the event, saying “…all we could do was smile and give each other one of the firmest and most meaningful handshakes that I have ever exchanged (considering that about a quarter of the skin of my hands was still on the rope, it was also one of the most painful)” (Powe). It’s difficult for people who haven’t participated in the Pull to understand the impact it has on its participants. Shannon Vanderspool, a 9-6 moraler, described her experience of the Pull; “But, oh, when you’re a part of it – the smell of dirt and tape, the grimy feel of the rope, the hoarse voices and blistered hands…you remember how you felt as part of the family, working and laughing and crying together. It’s inimitable” (Powe). The Pull is extremely taxing physically, but the impact it has on the campus and its participants is important. It gives students, particularly in their first year, a place to belong, and people to turn to. They’re a part of something bigger than themselves, and all the insanity and tradition is worth it to them. If you want to see firsthand what the Pull is, this weekend is your chance. On September 30th, from 3:00-6:00 PM, both banks of the Black River will be alive with cheering, chanting, and screaming. Whether you’re standing on the Even or Odd side, the electricity in the air on Pull Day is something that has to be experienced firsthand. Only one team will get to take the victory swim in the river. We don’t know which team that is, but neither team is going down without a fight. The Pull | Hope College http://www.hope.edu/offices/student-life/pull/ (accessed September 26, 2017). Powe, Lynne. The Pull, 1898-1997: A Century of Tradition at Hope College. Holland, MI: Hope College, 1997.